SEER or Seasonal Energy Efficiency Rating is a measure designated by the U.S. Department of Energy and gives you a good idea of the performance you can expect from heat pumps. At a 15-SEER cooling rating, the Amana® brand ASZ14 Heat Pump can deliver an 8.2 HSPF (Heating Seasonal Performance Factor). 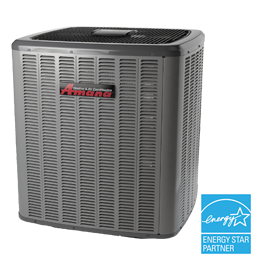 When you choose an energy efficient Amana brand heat pump, year-round indoor comfort is combined with year-round savings compared to lower SEER-rated heat pumps. Engineered into all premium Amana brand units, ComfortAlert enables the performance of your heat pump to be remotely monitored by your HVAC contractor. 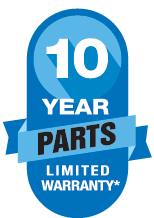 ensure uninterrupted comfort; it prevents minor service requirements from becoming major repairs. You can be assured that your Amana brand heat pump will provide you with quiet operation. To minimize operating sounds, we’ve acoustically engineered our systems with enhancements such as a specially designed sound-control top.